Update v7.20 was pushed on January 15 which bought an iceberg to an island south of Happy Hamlet, and it melted away thanks to the community. The iceberg started out with 5 billion health and began losing 15,000 health per second. Fortnite players soon realized that the iceberg would take pickaxe damage, and everybody in-game could chip away at the berg’s health to reveal what is inside – a mystery iceberg box, per se. 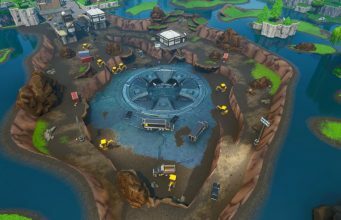 It took players less than 10 hours to break the iceberg down to zero health, and to fan’s surprise, it revealed an unbreakable bunker similar to the one in Wailing Woods. 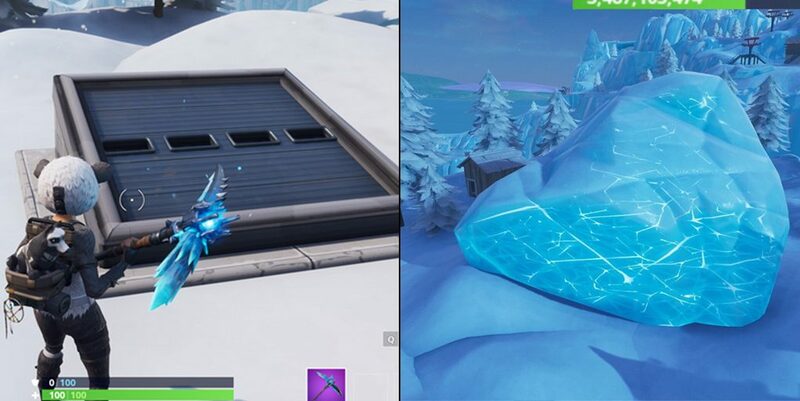 Players can not break the metal bunker door, or get inside of the bunker, just like the one that has been unopen in Wailing Woods for several seasons. If you get an angle on the door, you can see that the bunker drops down about two stories, but it is just full of dirt and brick. This island is also home to a hidden rift under the floor of the shack next to the iceberg. That, plus the bunker, seems to indicate we will be seeing more from this small island in the future. When do you think Epic will open the bunker, and what do you think is inside? !